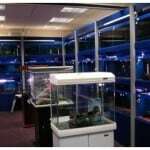 If you are looking for a custom glass home aquarium in the UK there are only a few mainstream places which will do the job for you, one of which is UK Aquariums Ltd. You may have also come across them as being known as “Fish Finatics” based in Lancashire should you wish to visit them. 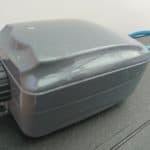 They offer a service of building you a custom tank of any size and shape as well as a matching stand and hood as well as all types of accessories you may need for the tank. 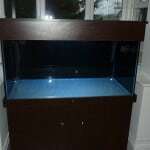 The aquarium we are reviewing was ordered from them and delivered 4 years ago (in 2010) and we have been advised their cabinet makers have changed since then so styles and build quality will have changed form this aquarium. The order service experienced was good and lead time was around 8 weeks although this ended up being closer to 4 months but we were advised this was down to the snow and cold weather conditions at the time preventing the silicon from bonding and forming properly which we can appreciate and take as an act of mother nature which isn’t preventable so there’s no quibbles on the service they offered. 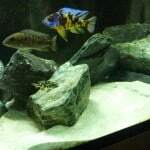 The aquarium itself came with glass sliders and build quality is very good (touch wood as the aquarium is still water tight and going well 4 years down the line). The cabinet was quite basic in comparison to the recently written ND Aquatics Aquarium review and didn’t feature a central support across the base or slow close/non slam door hinges. Although we did fit some afterwards at minimal cost. The main difference in the design now compared to previous designs is that of the hood. In older tanks such as this one, the whole hood lifted open however now we are told that the hoods open up half way down and are split as well as overhanging the edge rather than being lifted by a knob or handle. 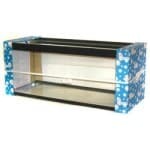 This is very similar to the design of the ND Aquatics Aquarium so we assume they may be using the same cabinet makers. 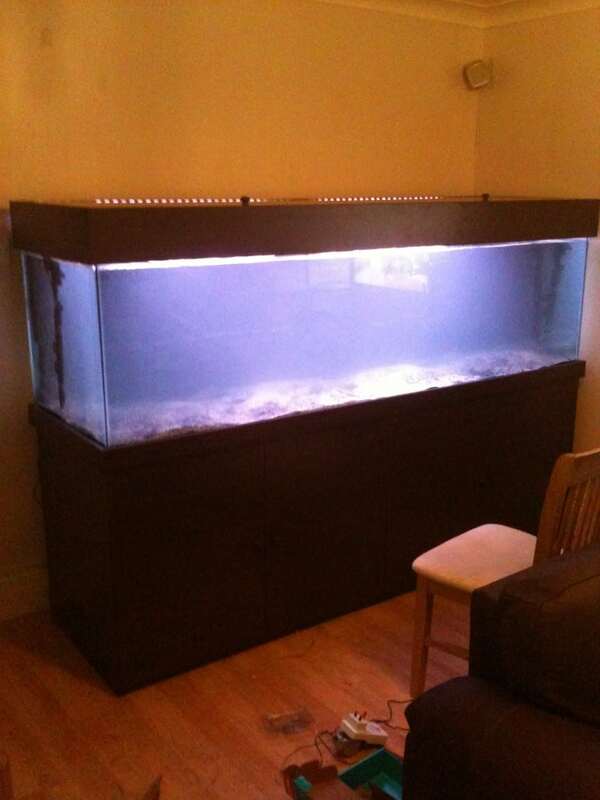 Having said that, the cost of the UK Aquariums Ltd aquarium is higher than that of others we have seen but lower than other quotes such as that of SeaShell Aquariums so it is a middle of the road price point so we would expect this to be middle of the road in terms of quality and service. 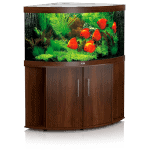 There is the extra assurance from UK Aquariums Ltd that they are a member of OATA (Ornamental Aquatic Trade Association) and as such are able to offer a guarantee of quality and service, this is backed up by the 4 year warranty they offer on all aquariums. We don’t have any issues with UK Aquariums Ltd and think their custom built aquariums are of an excellent standard, we do believe there may be more cost effective alternatives out there. 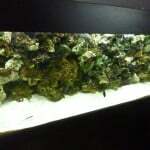 Quality and service is very good and if they are local to you then it may be the best choice to go for if you are looking to get a custom built glass aquarium in the UK.